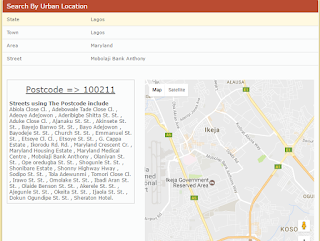 Home post codes Technology zip codes Nigerian Postal (Zip) Codes For All States and Cities. 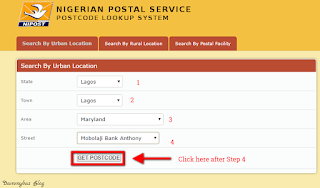 Nigerian Postal (Zip) Codes For All States and Cities. 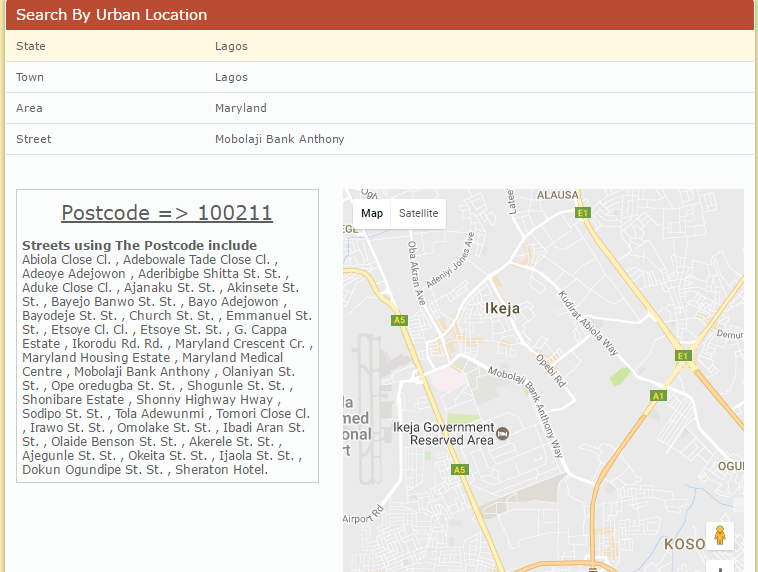 Locating the postal code (or zip code) of any place in Nigeria can be a huge headache. This is majorly due to the low level of awareness of Nigerians on postal services in the country. Firstly, a postal code is a series of letters, digits included in a postal address to ease sorting of mail. Also, Zip codes and postal codes means essentially the same thing. Zip code is used more in the USA. There are several benefits of using a correct postal code. One of the advantages is that when ordering for items from stores like Aliexpress, Amazon, Gearbest etc. it ensures that items are delivered to the closest post office within your location for easy retrieval of the item. 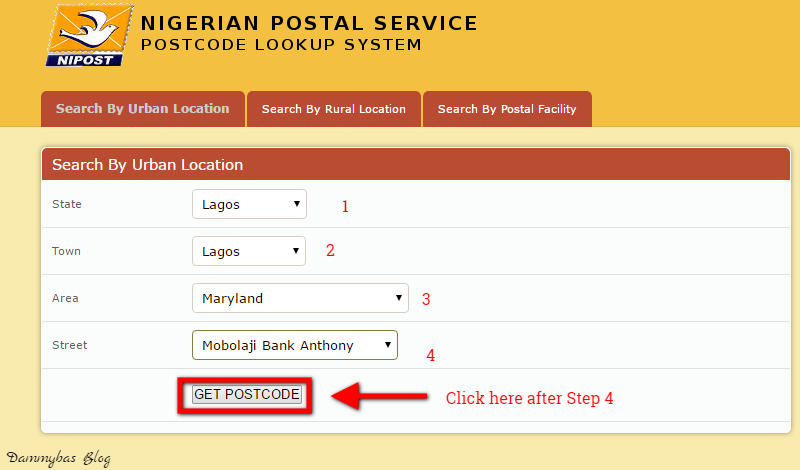 Go to the Postcode finder tool on the Nigerian Postal Service (NIPOST) official website (Click here to go). Enter your state, town, area and street. NOTE: If you can't find the name of your Area/Street, pick the nearest one to your location. Postal codes are usually grouped within the same Area. e.g 10211 is the postal/zip code for several streets in Maryland area as shown in the image above. It's time to say bye bye to typing "23401" as Zip code in Lagos.The next time you are signing up on a website or trying to place an order for an item, remember to use the correct postal code. Most importantly share this post with your friends and spread the word.